One of my heroes passed away several years ago. Although I never met Dr. Stephen Covey, he has been one of the 5 most influential people in my life via his writings and speaking. 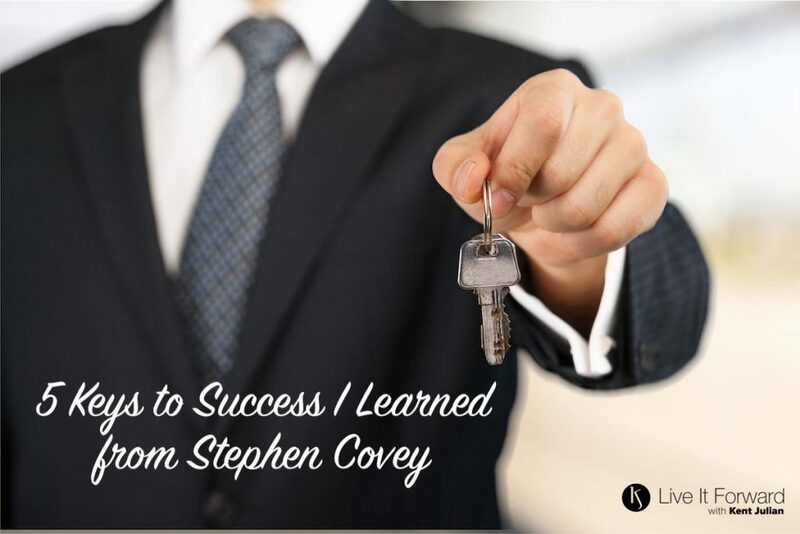 To honor his life and legacy, here are 5 Keys To Success I’ve learned from Stephen Covey that I strive to apply to my life. Personal Mission. I was first introduced to the importance of “begin with the end in mind” in 1989 while reading Dr. Covey’s The 7 Habits of Highly Effective People. (If you have not read this book, drop everything and purchase it NOW. It’s outstanding!) 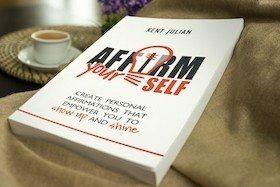 Because of this book, I developed a personal mission statement that same year and have continued to tweak it over the years. I read my mission statement regularly in order to stay true to what matters most to me. Clearly articulating who I am and what my life is about through a written mission statement that I review regularly is one of the most important keys to success I practice. Roles. 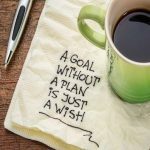 When setting goals (another one of the keys to success that Dr. Covey emphasized), most people slice their lives into “areas” or “categories.” Dr. Covey is the first person I heard speak about organizing your life and goals around major “roles” you play instead of “areas” or “categories.” In my mind, this “roles” approach is a more holistic way to think about your life and goals, and it’s a strategy I teach in the Goal-Getting Video Coaching Program. Seek First To Understand, Then To Be Understood. The ability to communicate is an essential key to success in all relationships. Yet for many people, communication means speaking more than listening. And even if we think of ourselves as good listeners, usually our primary agenda is to get our point across more than to hear someone else’s point of view. Dr. Covey’s teaching on “empathic communication” has greatly impacted my life. This is still a major growth area for me, but I’ve made significant progress because of what I learned from Dr. Covey. Sharpen the Saw. I love Dr. Covey’s line, “Have you ever been too busy driving to take time to get gas?” He believed a major key to success was to build habits and routines in our lives that allow us to grow mentally, physically, spiritually, and emotionally. Exercise. Reading. Spiritual disciplines. Rest. Investing in relationships that matter most. All of these are keys to success in both our lives and career. Put First Things First. Of all the keys to success I learned from Stephen Covey, none impacted my life more than his “Big Rocks” analogy. Over the years, I have become an intentional, proactive person, and this quality of putting first things first stems from Dr. Covey’s teaching on the big rocks. I learned a lot from Dr. Covey. His writings and teachings have taught me how to live a life of success and significance. I encourage you to apply these principles to your everyday life and watch as you start seeing positive change as well. 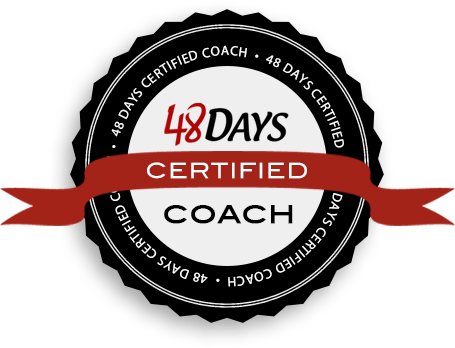 A simple system you can start using today to move from DREAM-to-DO in your life and business!